← Are the JETS a Playoff Team?? I just got finished saying the NY JETS are probably going to the playoffs. Here’s one better for you. If the NY GIANTS beat the Packers this week, and then the Cowboys next, they are going to win their division. Right now you’re saying I’m insane, right? No I’m not. Let’s assume for a moment the the GIANTS beat the Pack and then the Boys. The NFC Eastern Division is a joke this year. It’s true the Giants haven’t shown much either but I think their worst football is behind them. I see them taking care of the Rodgers-less Pack and then smacking around the inconsistent Cowboys at Metlife. They follow that with a game against the Skins in DC. How can they lose that game?As a matter of fact the only tough games they have left are Seattle at home and Detroit on the road. Ok… it’s a long shot but the Giants have a very real and very good chance at winning this weak division. How can do they do that? 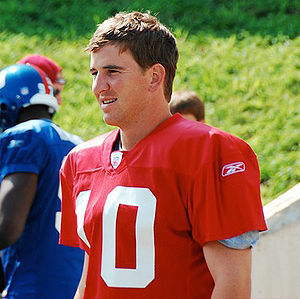 1-Eli Manning needs to play like Eli Manning. Make the clutch throws…protect the ball…lead the offense. 2-The defense needs to play like they have been known to play in recent seasons. JPP is still hurt but looks like he may be back on the field soon. 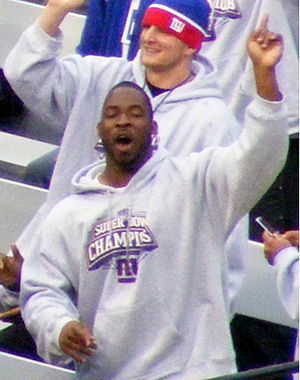 Antrelle Rolle is playing like a beast. He needs to continue that play. 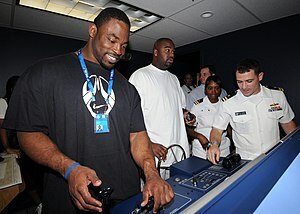 Justin Tuck needs to be Justin Tuck. 3- Can the offensive line continue their improved play? It’s true the competition hasn’t been very tough the last few games but good play is contagious and maybe the Giant upswing can continue. You heard it here. GIANTS win the division at 9-7.